Two weeks ago, I traveled to Beijing to speak at an international literary festival. It was one of the largest events of its kind in mainland China and certainly the most daring judging by some of the sensitive topics it covered: territorial disputes, gay rights and religious freedom. 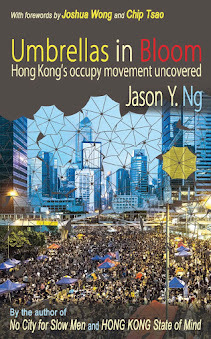 My talks on the political future of Hong Kong centred around the rise of radical opposition forces and the growing polarization of society in the post-Occupy era. A single question kept popping up during the Q&A sessions: in the age of police clashes and street riots, is there any room for moderate voices in local politics? The short answer, I told my audiences, is “not at the moment.” These days, compromise and pragmatism are such dirty words that the mere utterance of them would draw not only suspicious glares but also vicious trolling on social media. The idea that freedom-loving citizens should sit down and talk to their pro-Beijing government conjures up not images of savvy dealmakers perfecting the “art of the possible” (to quote Otto von Bismarck), but the ugly memory of greasy pan-democratic old-timers exchanging a Faustian handshake with the Liaison Office over the 2010 electoral reform package. There are names for these people: traitors, sell-outs, communist operatives-in-disguise. 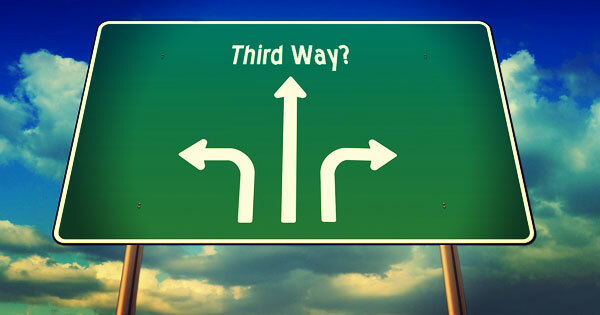 Is the third road a political dead end? But that hasn’t deterred some quixotic pan-dems from continuing to try. During last month’s by-election to fill Ronny Tong’s (湯家驊) vacated Legislative Council seat, ex-Democratic Party member Nelson Wong (黃成智) ran on a “middle way” platform and promised to bury the hatchet and build bridges. Wong’s campaign faltered, in part because of his bumbling public persona and in part because his moderate rhetoric failed to register a pulse in the electorate. Then there is the godfather of political moderation: Ronny Tong. 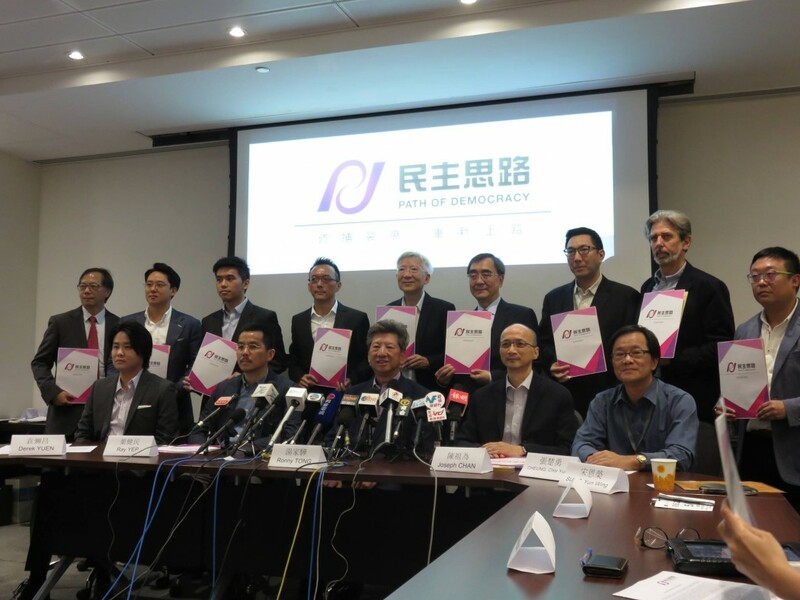 Disgusted with toxic partisanship that culminated in the defeat of the 2015 electoral reformbill, Tong resigned from both Legco and the Civic Party shortly thereafter to forge what he called the “third road” – a more reconciliatory stance toward Beijing as an alternative to the adversarial pan-dems. The self-proclaimed centrist founded a think tank called the Path of Democracy and recruited a handful of respected scholars. So far, the pathfinders have not gained much traction in the public narrative. It is death by anonymity: no one is talking about them. Neither Wong nor Tong ought to be surprised. Reconciliation is not in vogue, at least for the time being. There is so much anger in the air, and with that comes radicalization. After Occupy ended without achieving any of the political gains it had set out to achieve, radical splinter groups seized on the post-movement emotional void and drafted many former protesters into their army of fun ching (憤青), the Cantonese phrase for “angry youth.” Their combative, take-no-prisoner gospel appealed to the disillusioned Umbrella Kids much more so than any humdrum sermon on dialogue and deal-making. It is political marketing 101 – just ask Donald Trump. To be fair, radicalization is more by circumstance than by choice. Who doesn’t want to sit in an air-conditioned room and talk to each other like civilized adults? We’ve tried and it hasn’t worked. The third road is premised on seeking common ground, which by definition requires some degree of give-and-take. But with increasing Beijing intervention in local affairs, the Hong Kong government is forced to capitulate on important policy issues and take direct orders from the communist leadership. There isn’t very much room for dialogue when one side doesn’t have the authority to give and is instructed to only take. Besides, being a fun ching may not be such a bad thing – it may actually be healthy in the grand scheme of things. 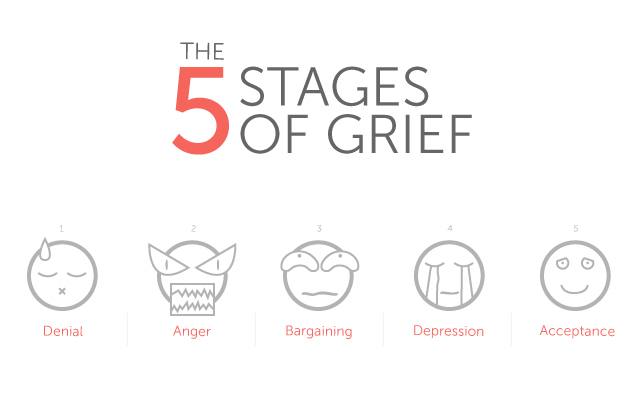 Anger is one of the essential steps in the five stages of grief, which allows us to cope with a traumatic experience, such as spending 79 days on the streets braving police batons and pepper spray. In other words, young people need to get their frustrations out of the system so that the healing can begin. Those who have watched Disney’s Inside Out also understand that human emotions – even undesirable ones like sadness and anger – are part of our personal growth. Likewise, radicalization is part of the city’s coming of age. In the 1970s and 1980s, angry students and violent opposition parties in Taiwan and South Korea exhibited many of the same symptoms, before the countries reached their political maturity and blossomed into full-fledged democracies. 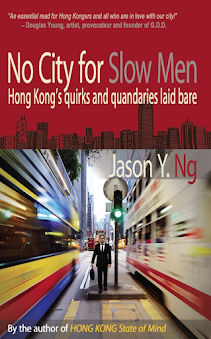 Hong Kong may be a few decades behind, but we will eventually get there. And so I told my audiences at the literary event: radicalization is only a passing phase and pragmatism will one day return. Once their emotions subside, the fun ching will realize that their combative approach, no matter how cathartic, will ultimately do little, if anything at all, to bring a freer Hong Kong. They will come to the conclusion that dialogue, in whatever form it may take, still has the best chance of yielding tangible political results. 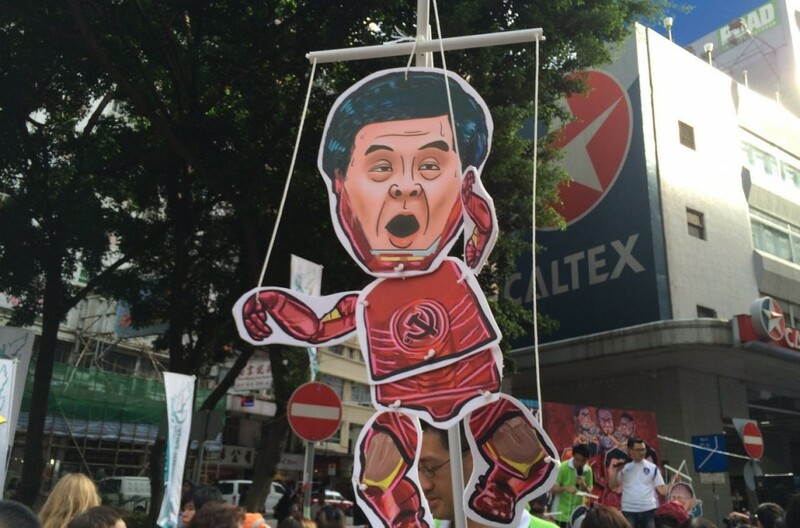 Hong Kongers can never outgun the communists; we will have to outsmart them at the negotiation table. There is reason for us to be cautiously optimistic. With the Chinese leadership increasingly embroiled in high-stakes factional infighting and the economy showing signs of serious weakening, Beijing has far bigger fish to fry than whether the Hong Kong Airport should have a third runway or if street vendors in Mongkok can sell fish balls on Chinese New Year’s Day. And if more heavyweights like mainland property tycoon Ren Zhiqiang (任志强) come out swinging against PresidentXi Jin-ping (習近平) or the Shanghai Composite drops another 10 per cent, then the beanstalk giant just might loosen its grip on Hong Kong and crack the door open for a third road. Indeed, Premier Li Keqiang’s (李克强) softened tone on our “high degree of autonomy” at the National People’s Congress meetings two weeks ago and the praises sung by Ta Kung Pao (大公報), a pro-Beijing newspaper, of localist leader Edward Leung (梁天琦) days after the Legco by-election both offer us a glimmer of hope that reconciliation is more than a pipe dream. In the meantime, while we continue to debate whether the third road will lead us anywhere, a fourth path has emerged. 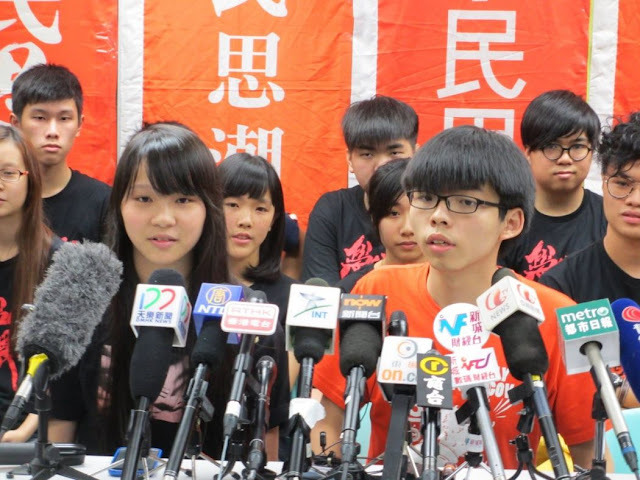 Joshua Wong (黃之鋒) announced earlier this week that Scholarism, the activist group he founded in 2011, would be disbanded to make way for a new political party ahead of the September general election. Wong said that his new baby – still to be given a name – would seek a middle way within the opposition camp. The 19-year-old is determined to fill the ideological gap by wooing voters who have given up on the slogan-shouting pan-dems but are equally turned off by the localists’ warlike tactics, much like the way Ronny Tong is trying to provide a voice of reason that speaks to both the establishment and the opposition. It is too early to predict whether voters will warm to Scholarism 2.0, but one thing is certain: the days of predictable two-camp politics are over in Hong Kong. As our political spectrum gets more crowded, the moderates will, in the not so distant future, come out of the woodwork and cease to be the politicians who dare not speak their name. 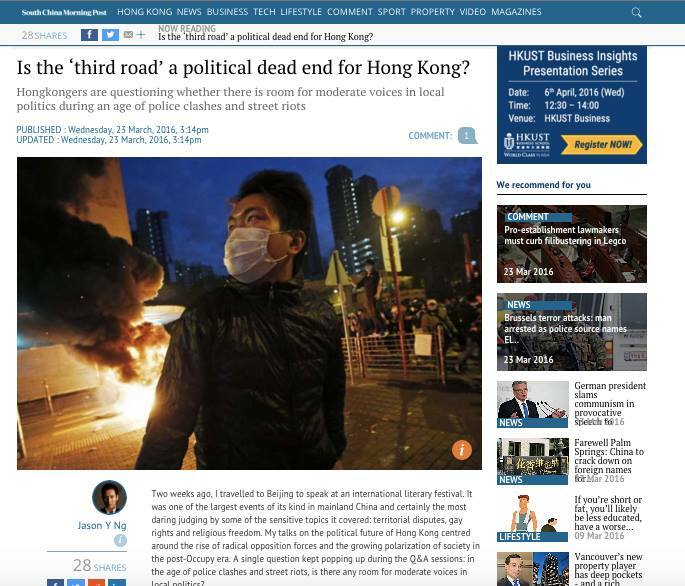 This article was published in the South China Morning Post under the title "Is the 'third road' a political dead end?"